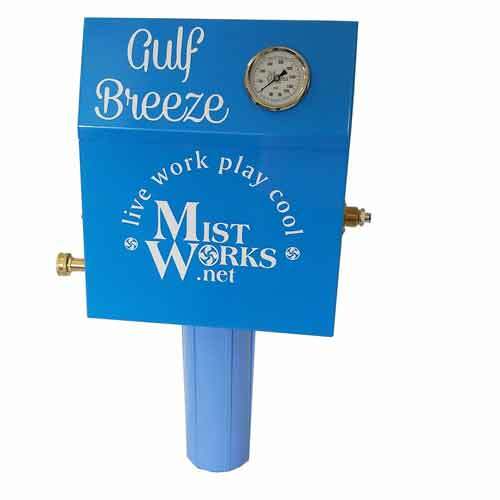 “Gulf Breeze” residential / light duty high pressure misting pump is perfect for cooling smaller outdoor areas with less use than a commercial or industrial system would see. The pump mounts on wall and plugs into standard 110V outlet. Your garden hose connects from spigot to pump. • Pressure Switch; prevents the pump from turning on without water, which would lead to over-heating and damage to pump.